The Hamaoka nuclear plant sits near one of the most dangerous earthquake faults in Japan. If this wasn’t concerning enough, now they want to restart one of the reactor units that was flooded with seawater. 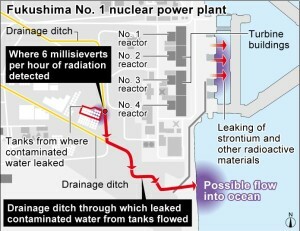 The condenser at Hamaoka unit 5 failed allowing seawater into the reactor vessel. This put cracks in the reactor vessel that could impact the integrity. Of course pulling seawater into the reactor vessel also meant this unit leaked reactor water out to sea. Now Chubu Power is claiming they can repair this unit and restart it. They have applied for restart permission with the NRA. Asahi Shimbun reports this and also notes that there were 700 problems found in pipes, valves and other devices including rust that was likely caused by the seawater intrusion. 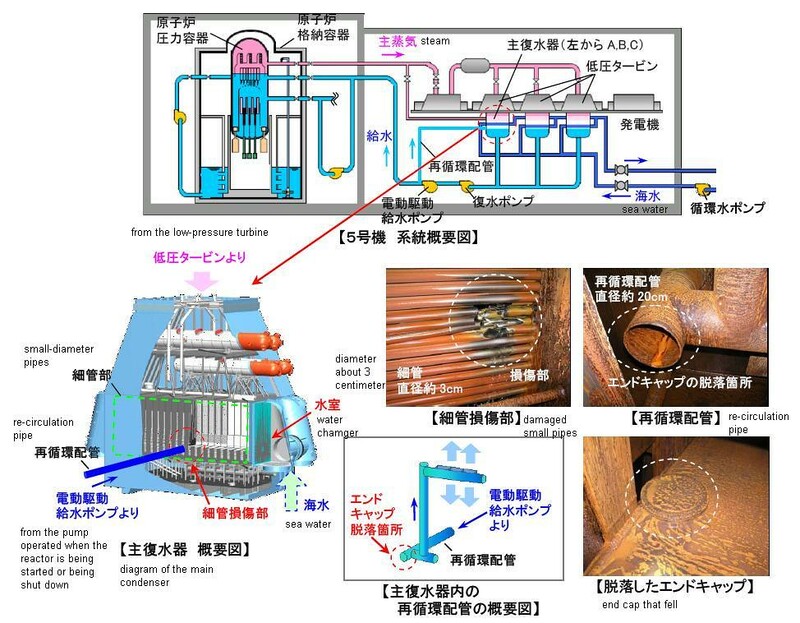 This slide below from Chubu Power shows the damage to the condenser.